Advances in multidetector CT system and image post processing technique have expanded the role that CT plays in the evaluation of cervicovranial vascular disease. Although cerebral catheter angiography or digital subtraction angiography are both performed in the interventional radiology department and are still generally regarded as the gold standard for the imaging of cerebrovascular disorders, those techniques are time consuming and are associated with a small, but significant, rate of permanent neurologic complications. CT angiography has the advantages of being non invasive and widely available. The time saving nature of Computed Tomography Angiogram (CTA) over traditional angiography is particularly important in the case of patient suspected of suffering an acute stroke in which treatment decisions must be made quicky. In addition, cerebral CT angiogram can be combined with brain perfusion imaging to assess the viability of brain parenchyma and its vascular supply. 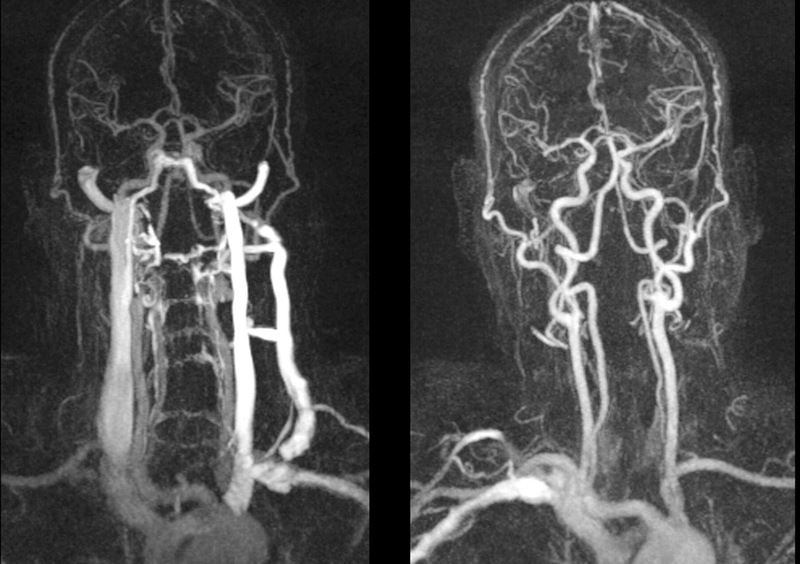 Cerebral and carotid CTA techniques provide important information about vessel walls. 3 dimensional post processing of the image data depicts the spatial relationship of complex vascular lesions to the surrounding structures, providing valuable information for the surgeon. Rapid, high resolution scans are taken while contrast is in the arterial enhancement phase. 3. To detect other vasculature lesions, such as dissections or occlusions. 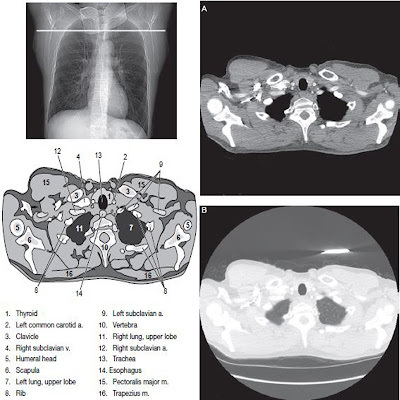 A medication of CTA, called CT venography is used for the depiction of venous anatomy. Scan parameters are quite similar to Computed Tomography Angiography, except images are acquired while contrast is in the venous enhancement phase. When CT is performed after intrathecal contrast administration for fluoroscopic myelography, a delay of 1 – 3 hours between the contrast injection and scanning is recommended. This delay allows the contrast material to become sufficiently dilute. Proper localization is essential in scanning the spine. All studies should include scout images in both anteroposterior AP and lateral projections. The scouts will permit vertebral levels to be readily counted and classified to ensure that scan are taken at the appropriate levels. When scanning the lumbar spine, it is important to note whether the patient has a sixth lumbar that requires additional scans.